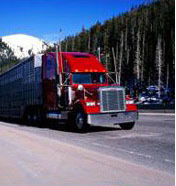 Maryland Freight companies are useful due to the knowledge of the carrier in the area. The discount freight shipping rates we have with multiple carriers in this area lets us offer the customer more and more savings. Our network of carriers is vast and we search all of them to offer you, the customer, the best rate possible. All requests for discount freight shipping quotes are welcome. One time shippers are always welcome. If your Maryland shipment is point of origin or a destination point we are ready to save you money. Our dedication to our customer is second to none. Old Glory Freight respects your privacy and does not share your personal info with anyone.